This vinyl liner will shield your SUV's cargo area from scratches and stains. The soft vinyl conforms to the shape of the vehicle interior makes cleanup easy. 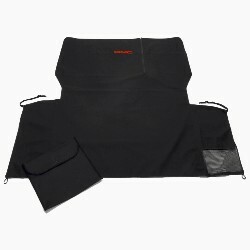 The liner folds neatly into a pouch for compact storage..